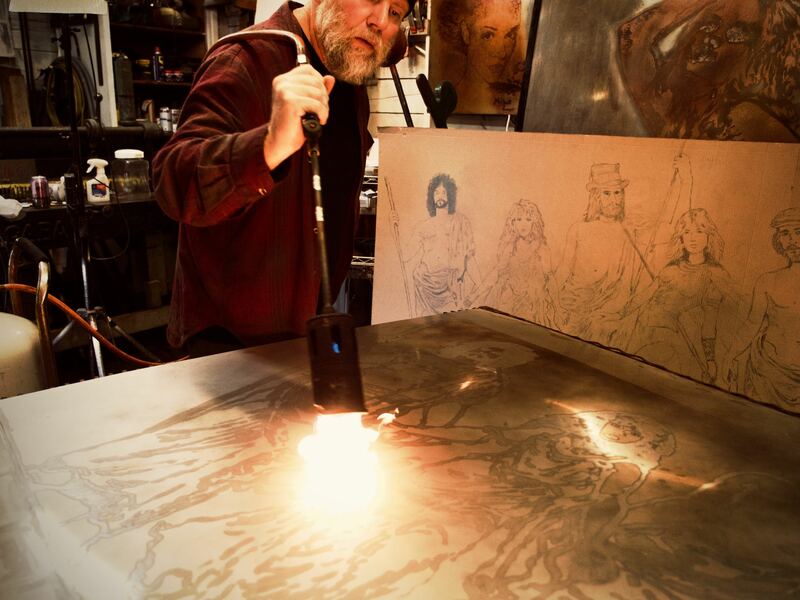 Milo Lowe's Volcanic Stainless Steel Paintings of Fleetwood Mac and Prince are part of the Grammys. 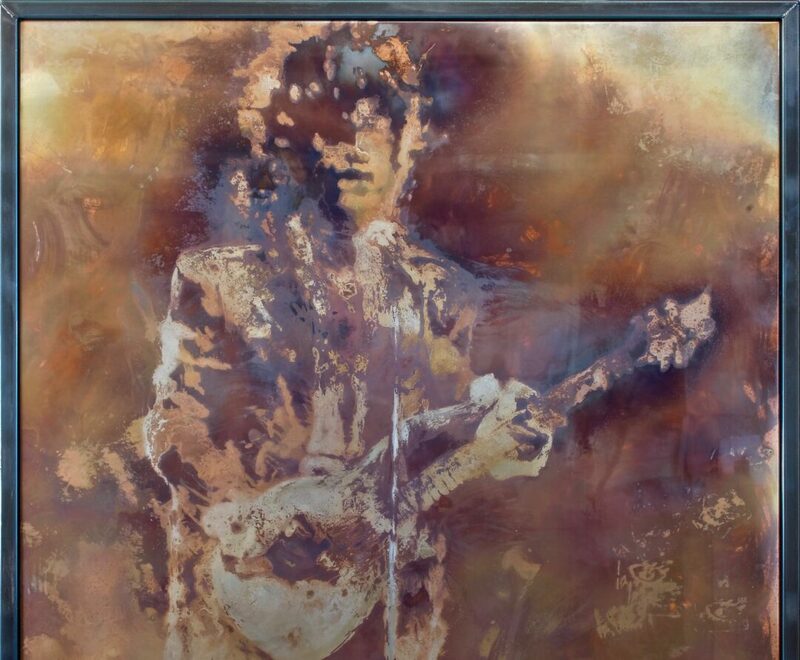 Milo Lowe's Volcanic Stainless Steel Paintings of Fleetwood Mac and Prince are part of the 2018 Grammys MusiCares event honoring Person of the Year Fleetwood Mac. My art for 2018 Grammy Awards MusiCares event honoring Person of the Year, Fleetwood Mac. 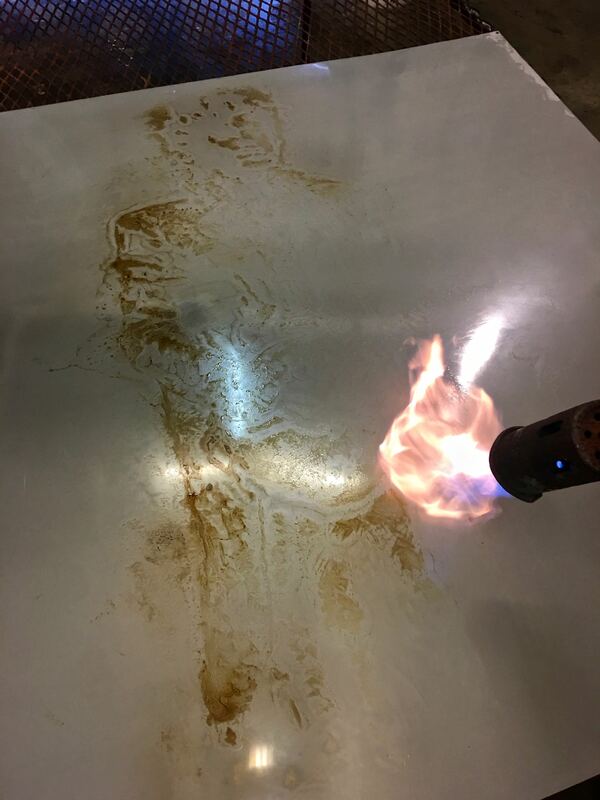 I created 2 Volcanic Stainless Steel Paintings for the Grammys. 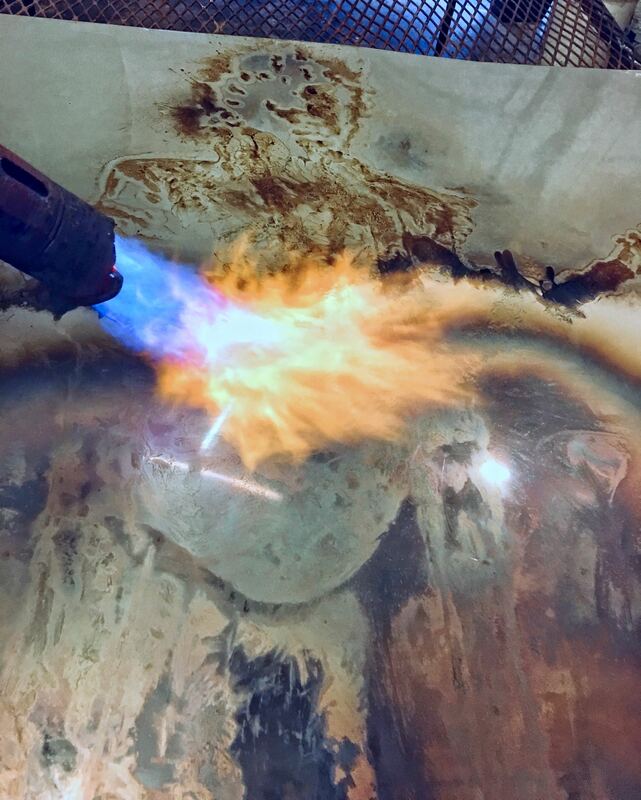 This Volcanic Stainless Steel Painting is part of 2018 Grammy Awards and the MusCares event honoring their Person of the Year, Fleetwood Mac. 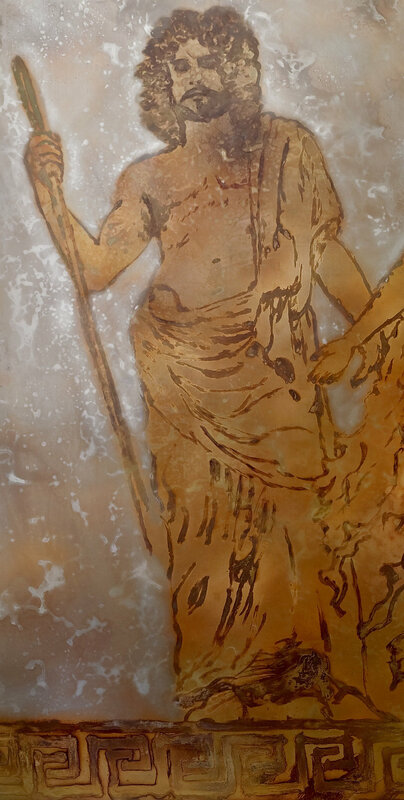 It’s a frieze style panel made to be placed side by side with other panels in a musical theme. 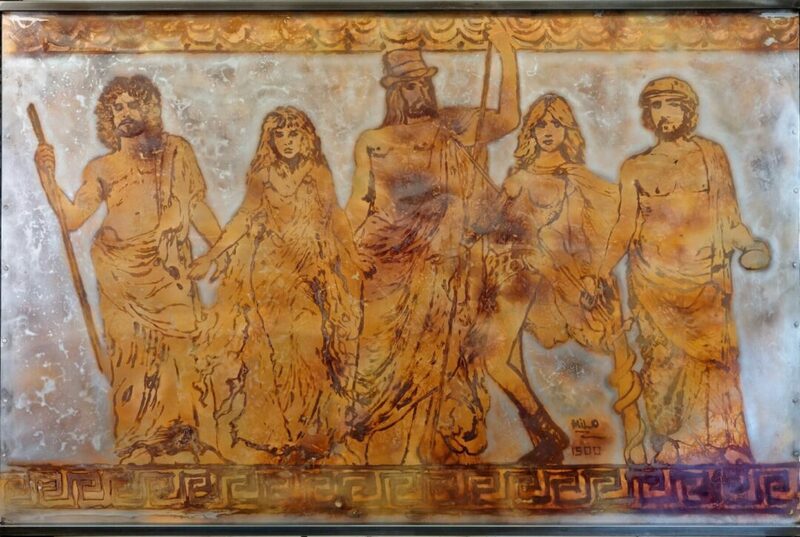 Milo was inspired by a visit to the Portland Art Museum and their collection of ancient Greek art. Painted teracotta vessels that are dated from around 500 BCE. Milo views one function of being an artist as being a culture historian and the stories told on the ancient pottery are his evidence. 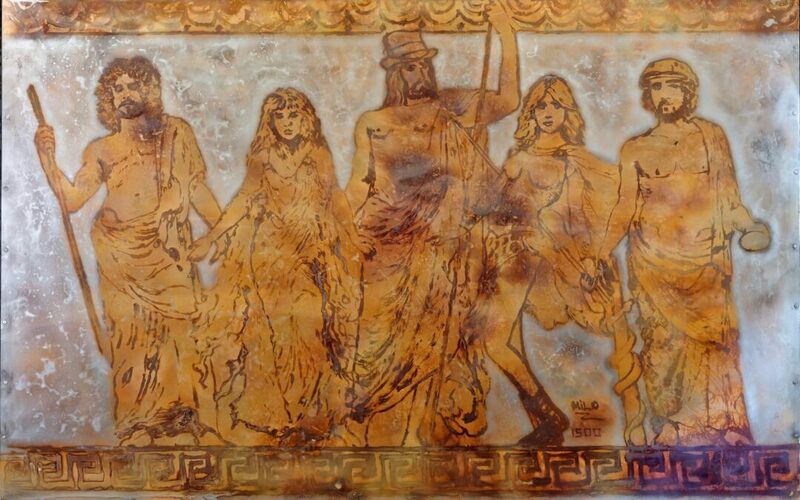 The painting was his vision of Fleetwood Mac as Gods and Goddesses. It’s meant to be both a serious cultural approval and a culture critic on demigods, idols and ascendancy. “Prince- Purple Blues” Volcanic Stainless Steel Painting. Tribute to Prince part of the Grammy Awards MusiCares event honoring their Person of the Year, Fleetwood Mac. 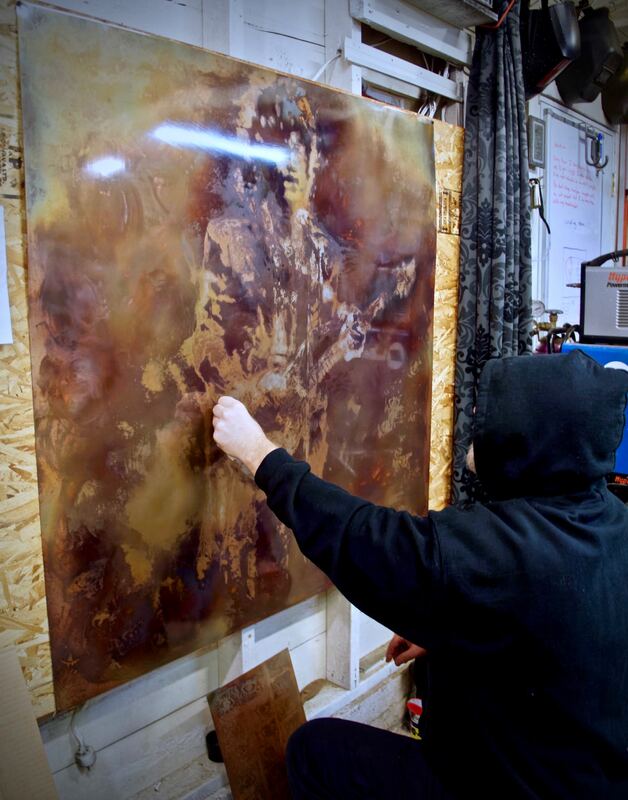 44″x50″ and framed in steel. I created this painting with an impressionistic feel to it. I felt the dreaminess of the image would capture the magic of the artist known as Prince. His legacy lives within this sheet of metal.